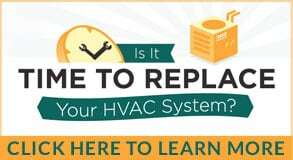 The HVAC system in your McKinney, Texas, home has to work hard to keep up with the high temperatures and shifts that happen throughout the seasons. Take better control of your HVAC system with a smart thermostat, packed with features to help you save money without sacrificing comfort. One of the most appealing features of a smart thermostat is the control this unit puts into your hands. It’s frustrating to head into work or leave on vacation, only to realize you forgot to adjust the HVAC system while you’re away. With a smart thermostat, this issue is no longer a concern. You can simply open an app and adjust the temperature or change the settings. Not only is this functionality useful for when you’re away from home, but it also gives you more access and control. On a cold winter day, it’s easy to raise the temperature when you leave work so you walk into a warm, cozy atmosphere. If you’re looking for ways to reduce your carbon footprint, lowering the amount of energy you waste is the first step. The heating and cooling system accounts for a large percentage of the energy used by your household, so it’s a good place to start when you’re looking to trim energy waste. With a smart thermostat, you can use built-in tools that give you a snapshot view of how much energy you are using and how efficiently your system operates. Additionally, many smart thermostats can automatically make changes to reduce waste without changing the comfort level of the space. Along with the reduced waste, a new smart thermostat will also help you save money every month. The automatic adjustments lower how much energy is used to heat and cool your home, while the usage reports help you determine where you can make subtle changes. Take advantage of these benefits and upgrade your HVAC system with a smart thermostat by calling Bill Joplin’s at 888-414-4655.